Has it really been a week since our last New Comic Book Day comic book review? Man, time flies. Here are a few of this week’s new releases that stood out from the crowd. Check out our other blog articles so see our thoughts on other books. Be sure to comment or share our post on Facebook or Twitter if you like our articles! 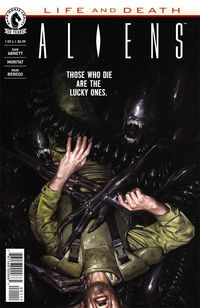 The Aliens comic book series joins the Life and Death crossover story in the shared Aliens/Predator/Prometheus universe. While we’re coming in later in the story, Aliens: Life and Death #1 doesn’t make a new reader feel like they’re late to the game. Sure, this issue drops us in the thick of the action, but isn’t that where you want to be when you’re reading a crossover? I would say yes. 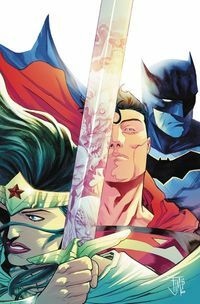 Since the launch of DC’s Rebirth, a question that’s been on everyone’s mind is how the original Superman is going to fit into a world that’s not his own, and how will he interact with a Batman and Wonder Woman that were a friend and lover to their world’s now fallen Superman. To force the confrontation of this question, Lois invites Batman and Wonder Woman over for dinner to Superman’s surprise. What unfolds is a rekindling of friendships that never really existed as each character reminisces on things that the other has no recollection of. What we get from this is an acknowledgment that no matter what reality each character came from, at their core they’re still the same person. JOIN THE NEW TRINITY SERIES TODAY! 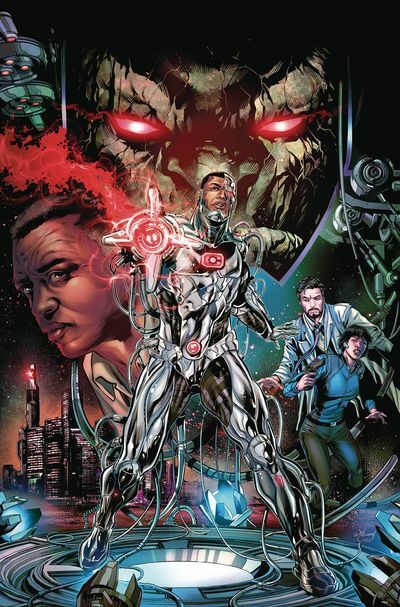 Within Cyborg #1 we get a quick glance at what may be our main villain, an unnamed assailant that looks like a failed attempt at Cyborg. Our hero is doing what he does best, stopping Detroit’s worst from committing crimes. Afterward, his father makes him go through tedious diagnostic tests to make sure everything is working properly. While not coming out with his anger we can tell that something is wrong with Cyborg, emotionally. We find out that he his questioning his humanity and whether he has a soul. The fact that his father is struggling with these same existential questions adds a healthy dose of family drama. John Semper Jr. does a great job getting us up to speed with the character, who he is, his environment and how he works within it. The storyline is an old one, but one that is never tired of being explored — Am I Human?. Becky Cloonan’s Punisher story has been intense. Frank is out to take down a drug ring being run by a mercenary outfit called Condor. He’s run into people from his past, had a run-in with a couple of D.E.A. Agents, and now it’s time for him to get to do what he does best — Punish wrongdoers. 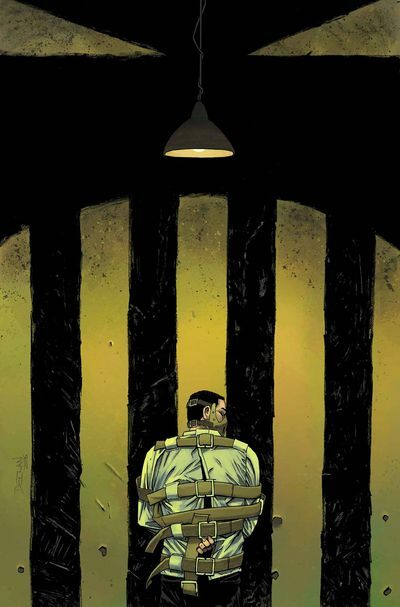 The Punisher #5 is a strong issue. Cloonan packs the book with some fantastic (read: violent) moments, and Steve Dillon has a chance to be realy expressive. You can see the psycho behind the eyes of the issue’s main protagonist, Face. Colorist Frank Martin knocks it out of the park — identifying light sources to inform shading, including little things like textures on walls and floors, and his use of the rich red hues from blood. I’m a fan. Introducing Grab Bag Graphic Novels and Manga!